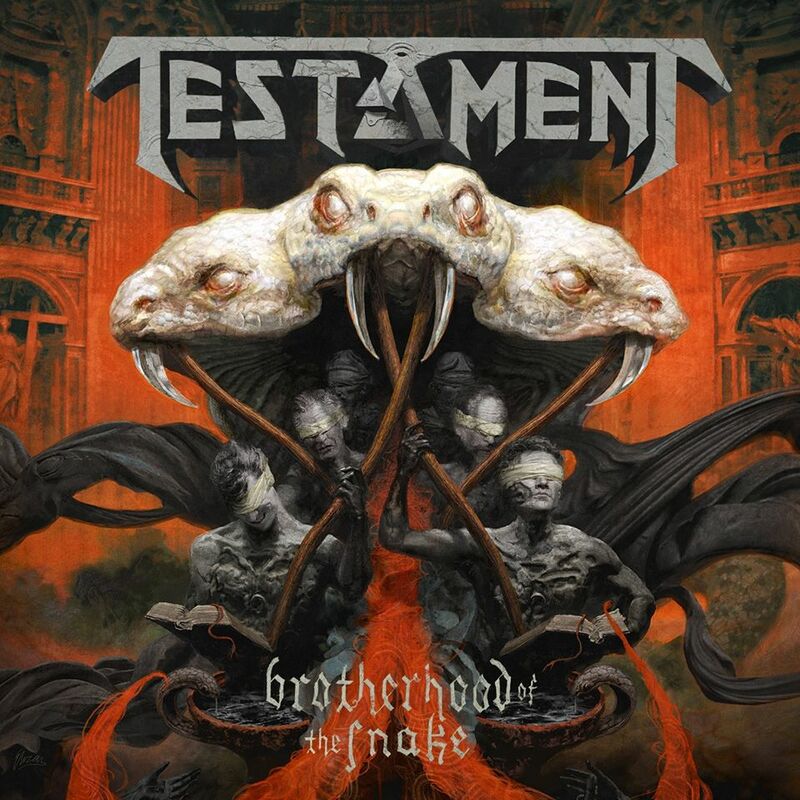 Is there any thrash band more reliable than Testament? Classic album after classic album took the world by storm in the 80’s and early 90’s. They went on to deliver death/thrash excellence on the underrated Demonic, became a thrash supergroup by welcoming Dave Lombardo and Steve DiGiorgio into the fold on the colossal The Gathering and then reunited with Alex Skolnick in 2005 to eventually deliver the modern thrash classic that is The Formation Of Damnation. Frankly, they can do no wrong and four years after the massive Dark Roots Of Earth we have “The Brotherhood Of The Snake”, another mid-tempo blast of prime testament incorporating their classic thrash sound with a modern, muscular and clinically effective sheen. As always, the pure power delivered by this ageless band is enough to floor a rhino and yet they combine melody and aggression better than any band on the circuit (only Death Angel come close to equalling them in these stakes). No doubt about it, with a history of delivering exceptional songwriting “The Brotherhood Of The Snake” is as reliable as ever and sets the scene for what will be a monster of a new album. In conclusion, this outstanding track is best summed up via three neat vignettes. Chuck Billy roars and growls like a man half his age and his pipes are still the most impressive in thrash. Skolnick and Peterson are as in tune with one another as ever. “The Brotherhood Of The Snake” is yet another classic Testament track in the making.